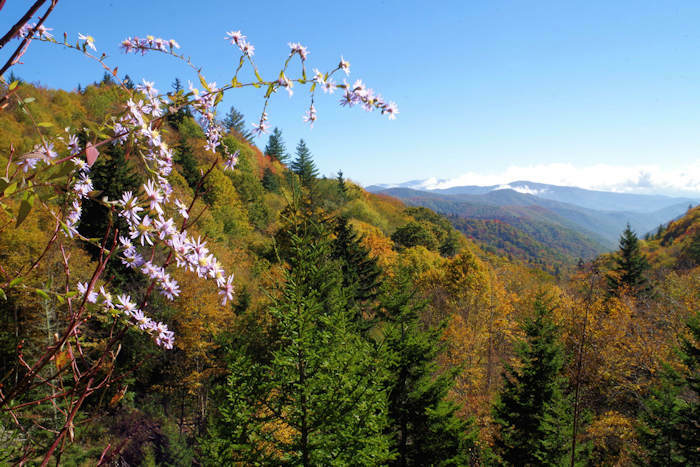 Take the scenic drive from Cherokee to Newfound Gap (5,046'), the highest point along U.S. Highway 441 in the Great Smoky Mountains National Park. 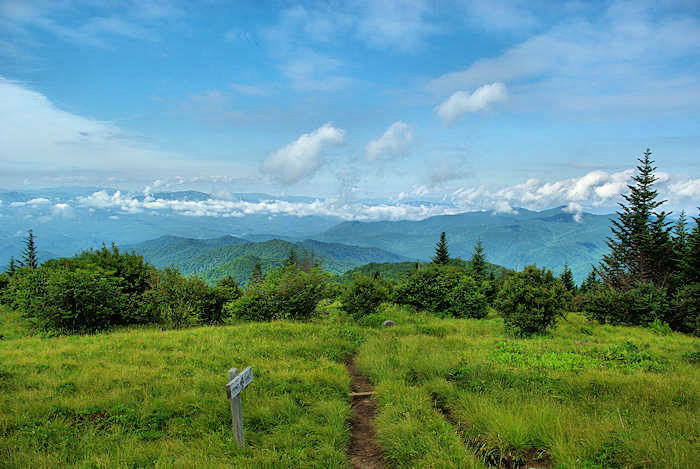 From the parking area at Newfound Gap, you can stand on the state line between North Carolina and Tennessee or take a stroll on the Appalachian Trial, a 2,200-mile footpath. Enjoy scenic views from the large parking area or atop the Rockefeller Memorial and from overlooks along the way. 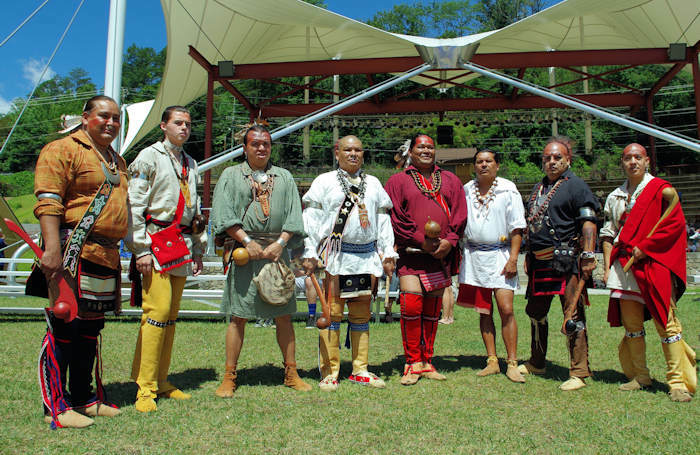 Your first stop should be the Oconaluftee Visitor Center and Mountain Farm Museum, located at the entrance of the park. 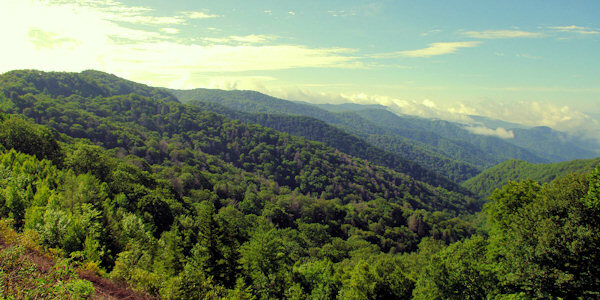 The scenic drive on Newfound Gap Road is often compared to a drive from Georgia to Maine in terms of the variety of forest ecosystems one experiences. 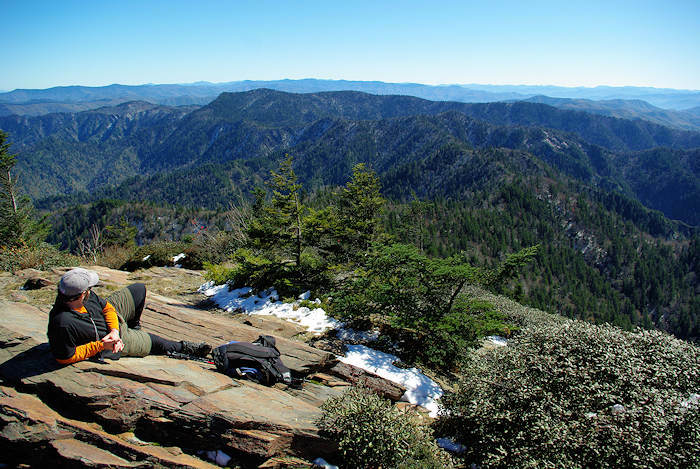 Starting from Cherokee, climb approximately 3,000 feet elevation in 18 miles, ascending through cove hardwood, pine, oak, and northern hardwood forest to attain the evergreen spruce-fir forest at the gap. This fragrant evergreen woodland is similar to the boreal forests of New England and eastern Canada. Along the way, stop at historic Mingus Mill and Smokemont Baptist Church. Newfound Gap is the lowest drivable pass through the Great Smoky Mountains National Park. At nearly a mile high, it's is significantly cooler than the surrounding lowlands and receives much more snow. Temperatures at the gap may be 10 degrees or more cooler than in the lowlands and precipitation falling as rain in Cherokee or Asheville may be snow. On average, 69 inches of snow falls at the gap. 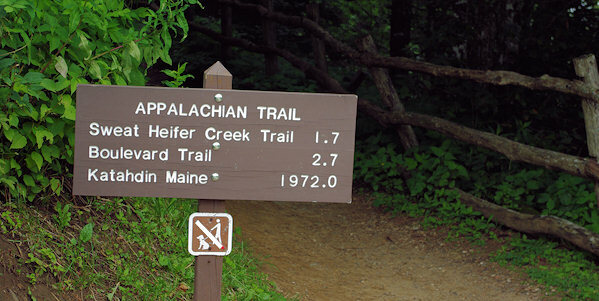 The Appalachian Trail (AT) crosses over Newfound Gap Road and straddles the state line between North Carolina and Tennessee for most of its length through the park. Visitors can enjoy a short stroll to stretch their legs or a multi-day backpacking excursion on the AT as it runs through the park. 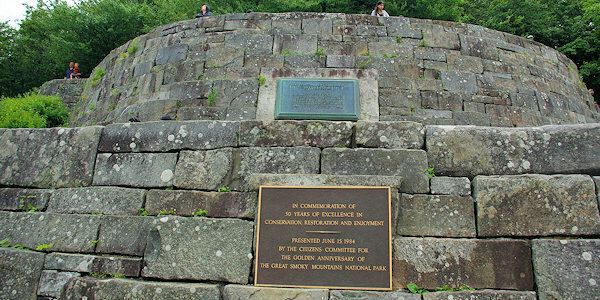 Park here for the spectacular hike to Charlies Bunion north on the AT (eight miles roundtrip). Just south of Newfound Gap, the seven-mile Clingmans Dome Road climbs to within 1/2 mile of Clingmans Dome the highest peak in the Smokies (road open April-November). A paved hiking trail takes you to the top. Also, the hiking trail to Andrews Bald begins there. 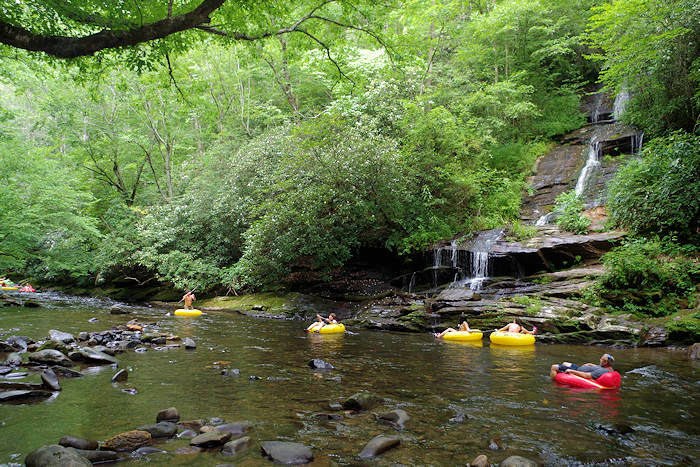 Directions: About 68 miles from downtown Asheville, allow 2 hours to travel. Take I-40 West to Exit 27. Follow Highway 19/23/74 for about 4 miles and exit onto Highway 19 toward Maggie Valley. About 3 miles past Maggie Valley, watch for the Blue Ridge Parkway entrance, and go south. The Parkway ends at Highway 441. Turn right to enter the Smokies. The Parkway is closed much of the winter. If the Parkway is closed, continue on Highway 19 to Cherokee and follow Highway 441 North.